Being surrounded by ocean, it makes sense that aquariums are popular throughout the country. Many of these are modern facilities which pay homage to local marine life and seek to educate the public about the importance of the seas. 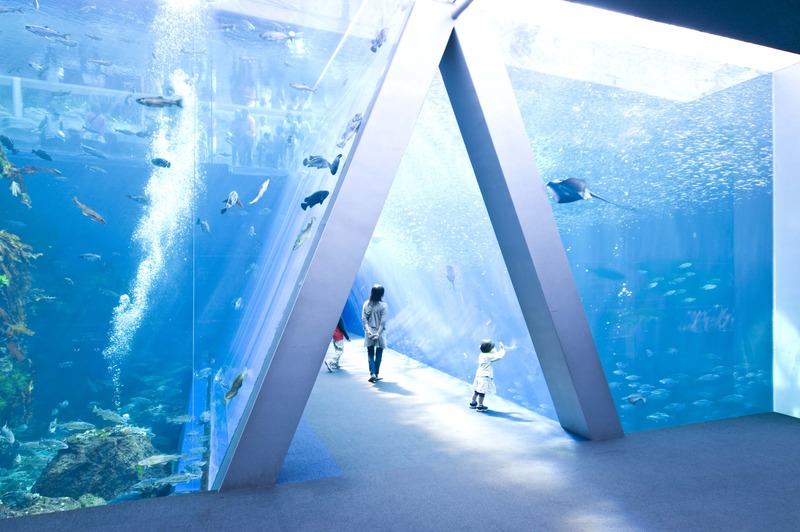 Without further ado, here are the Top 10 aquariums of Japan! The Port of Nagoya Public Aquarium is divided into two wings. The South Building takes guests on an undersea journey from Nagoya to the south pole, with exhibits showcasing the diversity of the Japanese coasts, the deep sea, Australian waters and the cold waters of Antarctica. The North Building is where visitors can see cetaceans like orcas, dolphins and beluga whales. 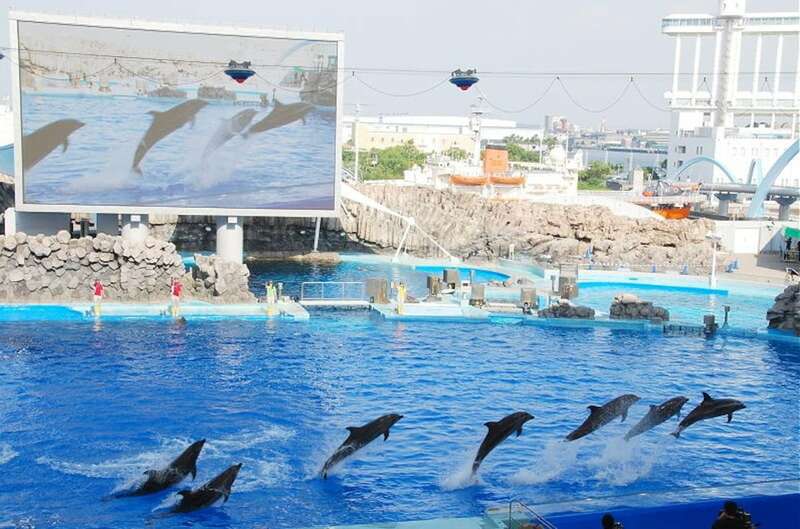 Performances by the orcas and dolphins are held throughout the day. Within the greater Suma Seaside Park in Kobe is Suma Aqualife Park, an aquarium that houses otters, seals, dolphins and sharks—plus hundreds of other creatures. A Touch Pool allows visitors to feel the wildlife. 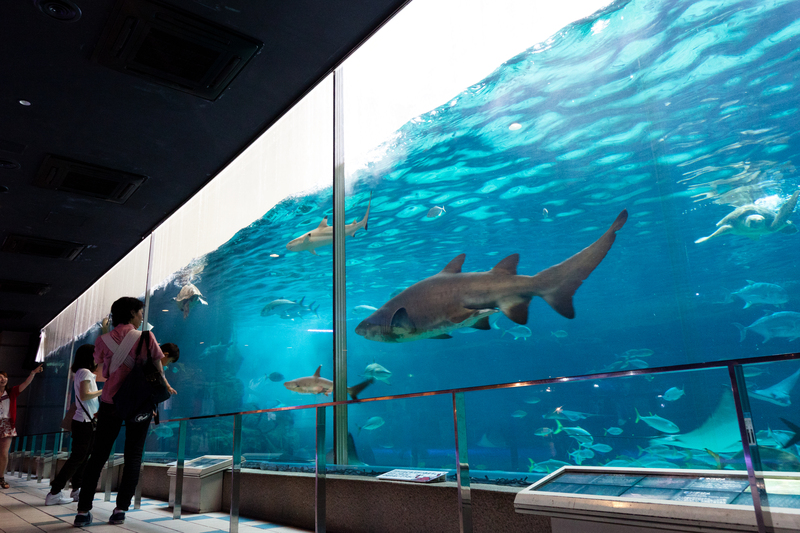 A large Wave Tank is located at the main entrance, giving visitors a stunning view of sharks and rays gliding through the water as they enter the aquarium. Boasting a collection of more than 100 types of puffer fish and a special interactive program with Humboldt penguins, Shimonoseki Kaikyokan is located in the heart of Shimonoseki City, at the tip of southwestern Honshu. Interactive programs require advanced booking on the day of your visit and are accessible on a first-come, first-served basis. Make sure you see the Kanmon Strait Tide Tank, which replicates the strait’s whirlpools. Nestled along the coast of Fukui Prefecture, Echizen Matsushima Aquarium is about 30 minutes northwest of Sakai City. It’s home to more than 400 species of marine life, including the standard seals and dolphins. A new penguin hall was completed in 2011, which allows visitors to watch the speedily swimming birds from an underwater viewpoint. The glass floor over a hallway of coral is another popular draw. Popular with couples and families, Umi-tamago’s main attraction is its outdoor circular tank showcasing more than 90 species of fish. Feedings of the more than 1,500 fish in the tank and commentary are provided by a diver on weekends and national holidays. Other highlights are its many interactive performances, including a comedy skit with a walrus (that you can pet after the show). Be sure to catch the fish training performance! Located on the banks of the Naka River as it empties into the Pacific Ocean is Aquaworld Oarai Aquarium. Their mission is shark breeding, and they proudly boast the most shark species of any aquarium in Japan. On the third floor is the hands-on Sea Life Museum, where visitors can learn about the anatomy and behavior of various sea creatures. You’re also able to enjoy a spa experience with a foot pool full of doctor fish, if you’re so inclined. Fans of the elusive dugong will want to head to Toba Aquarium, located roughly 30 minutes from the city of Ise in Mie Prefecture. It houses one of only four captive dugongs in the world, and the only one in Japan! Besides dugongs and African manatees, Toba Aquarium is home to about 1,200 species of marine life. The aquarium is divided into 12 zones reproducing different biomes, such as coral reefs, Japanese river ecosystems and the deep sea. The largest freshwater aquarium in Japan, Aquatotto celebrates and compares river ecosystems of Japan to those of the Mekong, Yangtze, Congo and Amazon rivers. The aquarium boasts an impressive collection of animals in addition to the the standard sea lions and otters: giant Mekong catfish, capybara and Japanese salamanders, to name a few. Aquamarine Fukushima houses its specimens in a beautifully constructed glass aquarium located in the city of Iwaki. It was damaged in the March 2011 tsunami, but reopened later that summer. Many of the exhibitions are focused on educating visitors about the important role oceans had in the evolution of life. The highlight is a large, triangular tank demonstrating the rip current off the coast of Fukushima where the northern Oyashio meets the southern Kuroshino Current. Probably the most famous aquarium in all Japan, Churaumi (which means "beautiful ocean" in the Okinawan dialect) opened at the Ocean Expo Park north of Naha amid slipping tourist numbers in 2002. 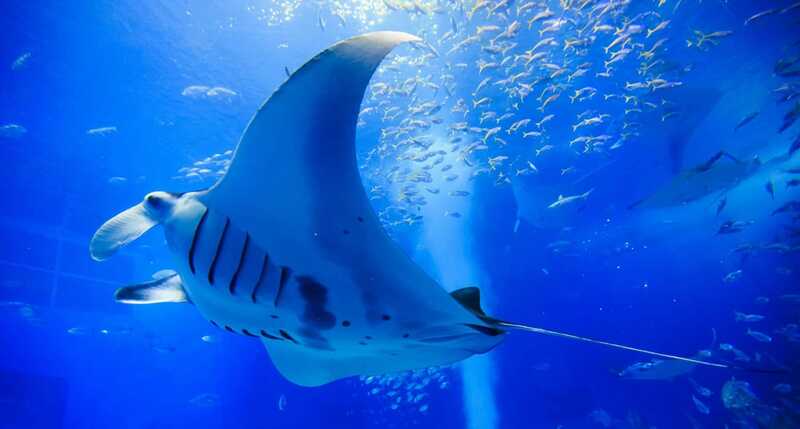 Needless to say, the aquarium has been a great success and is famous for its huge main tank, which houses giant manta rays and whale sharks. There’s plenty of room to view the creatures swimming around through the 8.2- by 22.5-meter (27 x 74 ft) acrylic glass panel.